A committed European and member of the French Socialist party, he was Chief of Staff to the President of the European Commission, Jacques Delors from 1985 to 1994. He then joined the Credit Lyonnais as CEO until 1999, before returning to Brussels as European Trade Commissioner until 2004. In May 2015, Pascal Lamy was appointed inter-ministerial delegate for the preparation of the French candidature for the Universal Exhibition 2025. He otherwise shares his time between the Jacques Delors Institute (President emeritus), the Presidency of the World Committee on Tourism Ethics, the Presidency of the Oxford Martin School Commission for Future Generations, the Vice-presidency of the Foundation for European Progressive Studies (FEPS), the Co-chair of the Equitable Access Initiative (Global Fund for AIDS, Tuberculosis and Malaria), his participation to the Global Ocean Commission and UNAIDS as well as different subjects related to international affairs. He also sits on the Board of Directors of the Fondation nationale des Sciences politiques, the Mo Ibrahim Foundation and the Thomson Reuters Founders Share Company. He is member of the Advisory Board of Transparency International, member of the board of Transparency International France and affiliate Professor at HEC. He currently serves as chair of the Global Agenda Council on global governance at the World Economic Forum. He holds degrees from HEC School of Management, the Institut d’Etudes Politiques (IEP) and the Ecole Nationale d’Administration (ENA). 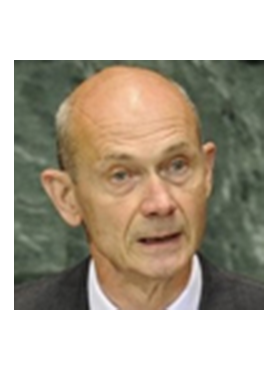 In a recent poll casted by the British magazine Prospect (2014), Pascal Lamy is in the top 50 of the world’s leading thinkers. He is also ranked among the 100 most influential thinkers of the “Thought leader Map 2014” published by the Gottlieb Duttweiler Institute. Pascal Lamy has authored several books and reports on global governance, Europe and international trade. Geneva Consensus, Cambridge University Press 2013. Quand la France s’éveillera, Éditions Odile Jacob, Paris, 2014. Où va le monde ?, Éditions Odile Jacob, Paris, 2017.